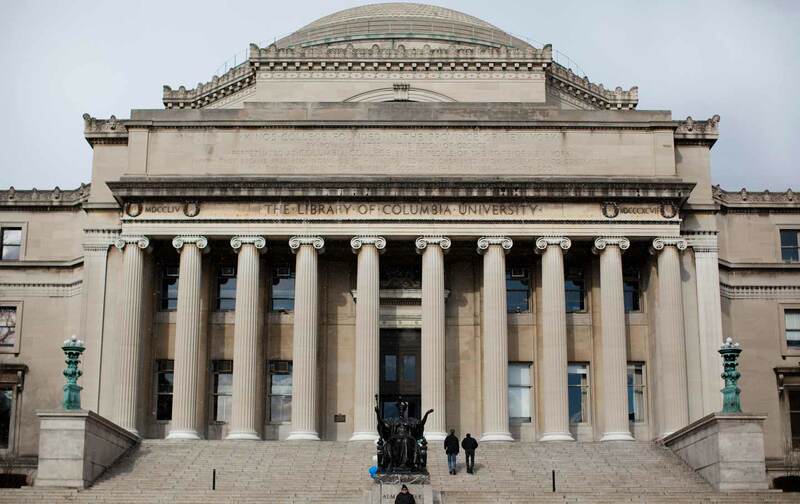 Columbia’s graduate students have just become the first in over a decade to win a union at a private university through an NLRB election process. The vote was keenly watched by other student-worker groups seeking to form their own unions at private campuses in coming months, and the effort coincides with a rising movement for more equitable, less corporate-minded higher education. The vote was also hailed by elected officials and labor activists who hope the win reflects the kind of unorthodox labor movement that the Age of Trumpism demands. For years Columbia’s student workers campaigned alongside other campus and staff unions, progressive faculty and student groups, and community organizations, to make the case that despite their scholarly position, they still struggle like other workers for fair pay and respect on the job. And they persuaded the nation’s highest labor-relations body, the NLRB, to recognize them as workers, too, leading to a major ruling in August that affirmed the employee rights of graduate (and some undergraduate) workers and in turn, the private university’s responsibility as an employer. In a post-election announcement, Julie Kushner, regional director of United Auto Workers, which has supported graduate student organizing drives on many other campuses, said the vote “paved the way for thousands of other research assistants and teaching assistants to have a recognized voice in America’s higher education.” Student worker union drives and election plans are currently underway at several private institutions, including Cornell, Harvard, The New School and University of Chicago. The NLRB’s August decision overturned a 2004 ruling that effectively denied graduate students’ right to collectively bargain. (The other official graduate workers union on a private university campus is New York University, which the administration voluntary recognized). Yet even prior to the formal election, the union was already representing graduate workers’ interests. As a campus activist group, they recently successfully advocated for four-year wage increases for teaching and research assistants and pushed for labor equity for international student workers. Additionally, the union helped secure a major expansion of childcare support for many parents in graduate programs, including 12 weeks of parental leave and a doubling of the annual childcare subsidy to $2000. On a campus where nearly one in five graduate students had reported having put off having children mostly because of the cost of their scholarly lifestyle, Such incremental wins help offset a wide gap between threadbare student wages and the city’s exorbitant cost of living. The administration argued in NLRB proceedings that graduate instructors and researchers were not really workers, but monk-like journeyman scholars, exempt from the traditional social contract between worker and employer. The Board, however, moved from the old-school milieu of civility and deference to affirm the concrete powers of the National Labor Relations Act, securing graduate workers’ collectively bargaining rights, and generally strengthening protections against administrative interference with political expression or labor actions. The decision affirms student-workers’ intuitive labor consciousness about the economic realities of the graduate experience today, which is typically less about tweed-jacketed intellectual camaraderie than about stressful teaching schedules, unlivable wages and Department Heads breathing down your neck. GWC member Lindsey Dayton says via e-mail that the union is relieved to be moving forward with contract business, after months of battling the administration’s aggressive anti-labor campaign: “I hope that the university will show more respect for democracy going forward, and move quickly and fairly into negotiations.” The University, which despite its opposition to unionization, has claimed to be committed to “open and respectful” debate in the lead-up to the election, issued a statement acknowledging the vote. The goals for the contract are not yet determined, but GWC generally follows a holistic approach to academic labor as both work and scholarship. At the University of Connecticut, the UAW-affiliated Graduate Employee Union passed post-election resolutions demanding that the administration develop comprehensive plans to fight discrimination and protect undocumented community members. Yale University’s graduate worker organization, UNITE HERE-affiliated Local 33 (formerly GESO) has campaigned to raise awareness about the lack of representation of women and people of color on faculty, and for expansion of access to mental-health services. These are small steps toward achieving a campus that operates as a livable workplace and an open, democratic learning environment, but they reflect a growing grassroots labor movement in a sector in which professional and economic pressures often leave little room for politics. A collective, autonomous organization of student workers can empower graduate scholars to reshape the culture of higher education, while also protecting academic freedom and labor rights from what is anticipated to be a much more pro-business NLRB under Trump. In the coming years that could mean organizing to support campaigns for an economic transition toward renewable energy and defending Standing Rock, linked with campus campaigns for institutional fossil-fuel divestment. Or creating a united front in the Movement for Black Lives against both police brutality in local communities and the fight for racial equity in higher education. Or challenging the administration (and in NYU’s case, rankling the union brass too) by championing the cause of Palestinian rights as part of a global human-rights agenda. American higher education has been pilloried by conservatives as a bastion of navel-gazing liberal frivolity. But the recent unionization surge speaks to the power the modern campus still holds to inspire righteous anger and vibrant dissent—a kind of public sphere that’s increasingly rare in an era of Trumpism. “Academic” has become a byword for snobbery in popular parlance, but now, organized, radical academic campuses might soon be one of few safe spaces for democracy left.